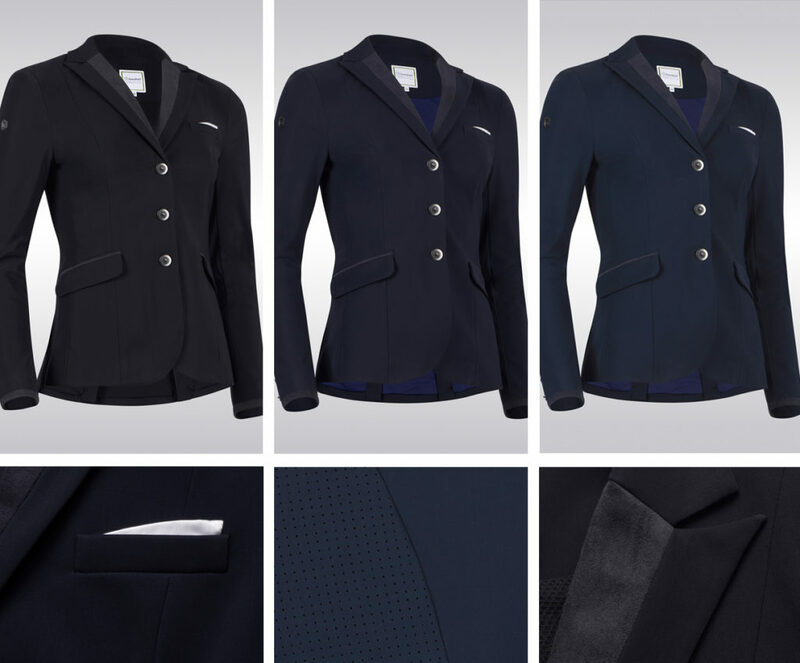 The Louise competition jacket is made of a high breathable technical fabric which brings an excellent fit, flexibility, lightness and durability for optimal comfort. The straight cut and the clearly defined waist on the back ensure elegance, fit and comfort. The jacket inner lining is made with high stretch fabric and mesh to guarantee breathability and the highest freedom of movement. 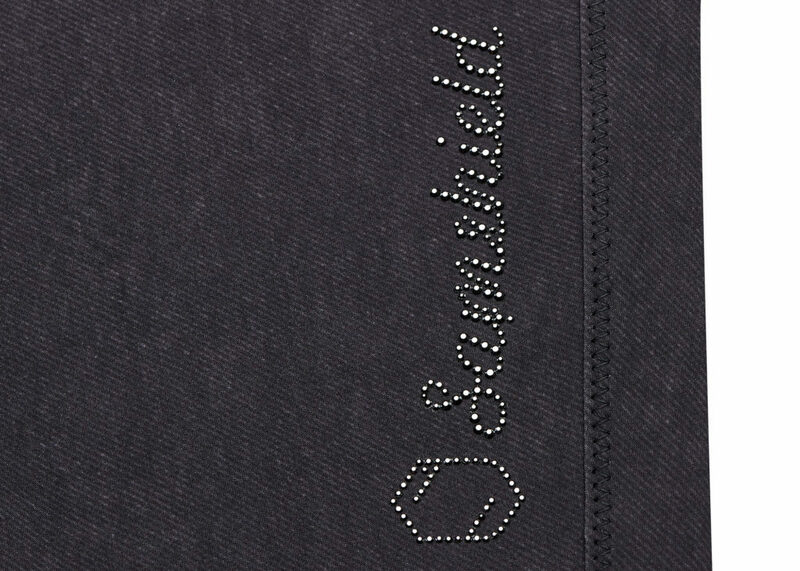 The Louise jacket is very ventilated thanks to the perforated fabric on the back. It is UV treated to protect against ultraviolet rays. 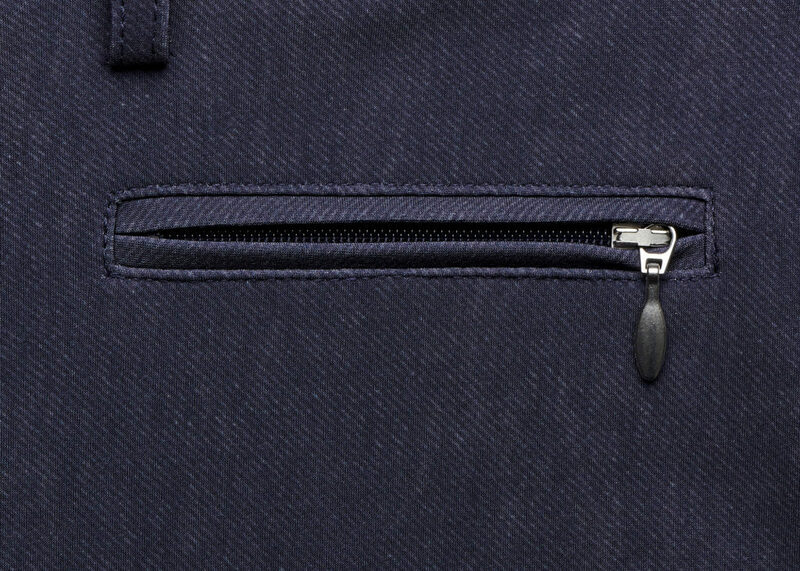 The pocket on the chest and the Alcantara details ensure elegance and distinctiveness. The Adèle breeches are both technical and elegant. The fitted cut and the gusset on the back ensure a perfect fit. Made with very resistant stretch fabric that is both anti-wear and non-slip, the Adèle breeches feel like your second skin. The anti-UV treated and highly breathable elastic fabric guarantees comfort and ventilation. The grip on the inside of the knees enhances stability and adhesion. The compression fabric around the calves gives great support. 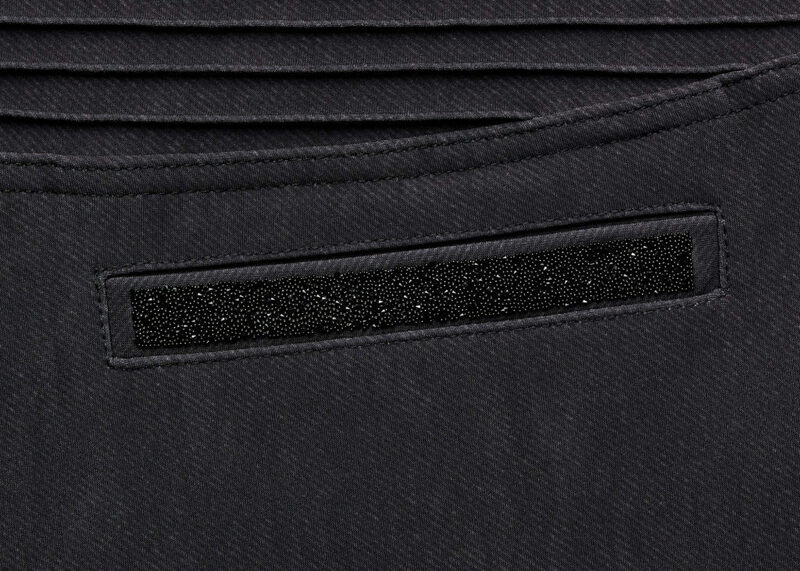 The inside of the grip belt prevents the shirt from riding up. 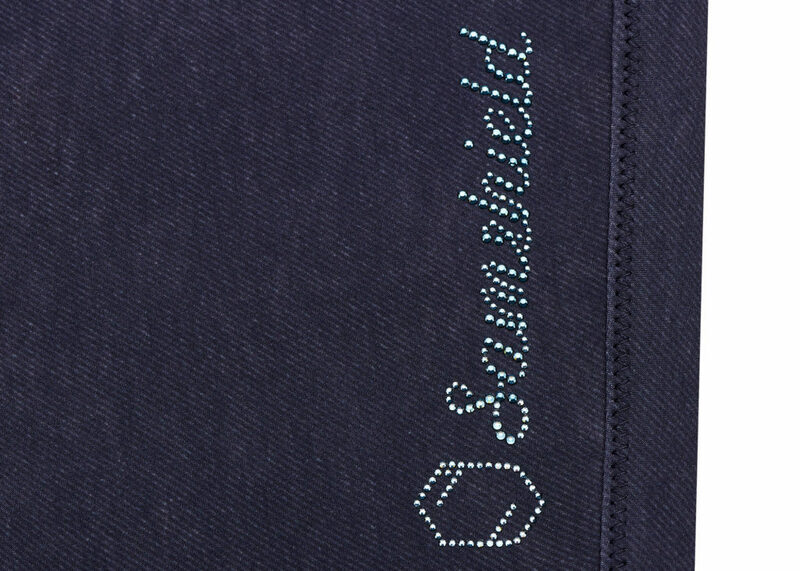 Details such as the Samshield logo in Swarovski® crystals on the thigh, and the back pockets with Swarovski® Crystal Fabric are signs of femininity and sophistication. 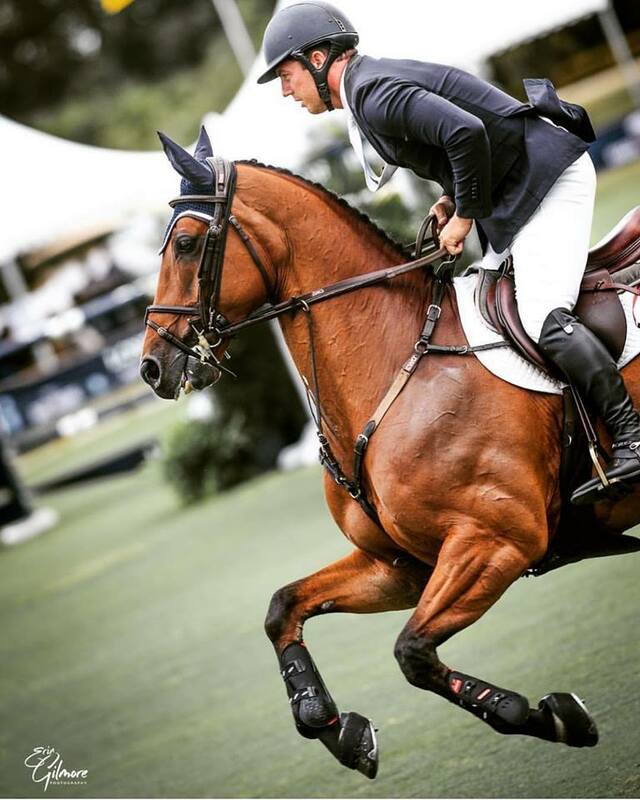 Alex Granato nabbed two of the biggest victories of his career at the Palm Beach Masters in Wellington, Fl. this week with his long time mount, Carlchen W! On Friday the duo took top prize in the $71,200 Suncast PBM World Cup Qualifier CSI4* then again on Sunday they won the feature $208,200 FEI Longines World Cup CSI4*! Samshield congratulates Alex, who has been partnered with us for 10 years. Alex chooses to ride in our traditional Shadow Matt Helmet in black. Samshield riders dominated during the headlining Friday class at the Palm Beach Masters. Ultimately it was Alex Granato and Carlchen W who took top prize in the $71,200 Suncast PBM World Cup Qualifier CSI4*. Respectively ambassador Paul O’Shae finished 3rd, Adrienne Sternlicht 5th, and Shane Sweetnam 8th.